The one thing about the blogosphere is that there’s probably a 10-to-1 ratio of negative and/or angry posts versus positive thoughts. I’m perfectly guilty of this (a prime example is the last post that I wrote) since it’s much easier to sit down and write about the return of the Kyle Orton Era in Chicago Bears football, the failures of the White Sox to get any of the multiple centerfielders available on the free agent market at the same time that the Tigers have loaded up to the point where they could dominate the AL Central for the next five years the way the Indians dominated the ’90s, how the Bulls should never have been in the position that they are in right now if they had only listened to my one billion pleas for various trades over the past two seasons, or why the Illini basketball team seems to be taking free throw shooting advice from Shaq and Ben Wallace as opposed to saying something positive. Let’s face the facts – it’s pretty cathartic to vent in your blog. Yet, as we approach Christmas and the New Year, I’d be remiss if I didn’t take time to point out that I’ve led a pretty blessed life as a sports fan. My first real exposure to sports was the 1985 Bears, who I will forever believe would crush any other team in NFL history, including this year’s vaunted Patriots, in a single game. Growing up, my favorite sport to play and watch was basketball, which made me the luckiest fan in the world since Chicago was the center of the basketball universe for the better part of a decade. From the time when I was in grade school up through college, my idol Michael Jordan played for my hometown team and I witnessed the Bulls go from a young upstart team to a dynasty. For all of the newsprint devoted to how Chicago sports have suffered over the years, the ’85 Bears and the ’96 Bulls are, respectively, arguably the best NFL and NBA teams in history. More recently, Illini basketball went to the Final Four and national championship game in 2005, winning probably the best sports game that I’ll ever witness. The White Sox won the World Series in 2005 with an improbably dominant postseason run and the Bears made it back to the Super Bowl last season. Finally, the capper to all of this is the Illinois football team getting to the Rose Bowl this season. Regardless of whether we get stomped by USC as the prognosticators seem to believe (I don’t know if we’ll win, but it will NOT be a blowout), one of my last sports wishes will be fulfilled on New Year’s Day and I’m not even 30 years old. So, I’ve already been able to see all of the teams that I’m a fan of achieve great success during my lifetime, so what more could I ask for, right? Well, as great as all of those sports moments are, they don’t even come close to how blessed that I am in the rest of my life. I’m fortunate to have such incredible family and friends, and I’m even more fortunate to have my wife as a perfect soul mate and partner in life. 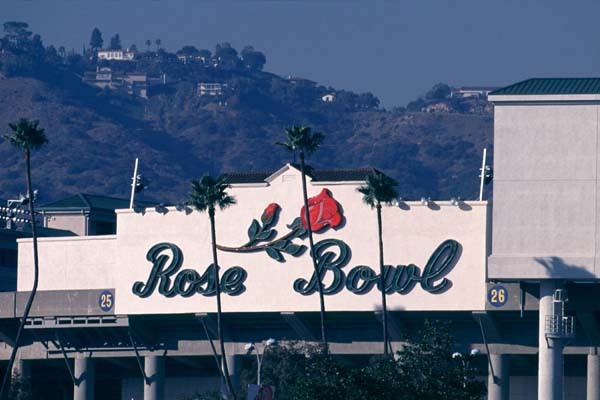 I wish all of you a Merry Christmas and see you in Pasadena for the New Year!